COMUNfARE (lit. 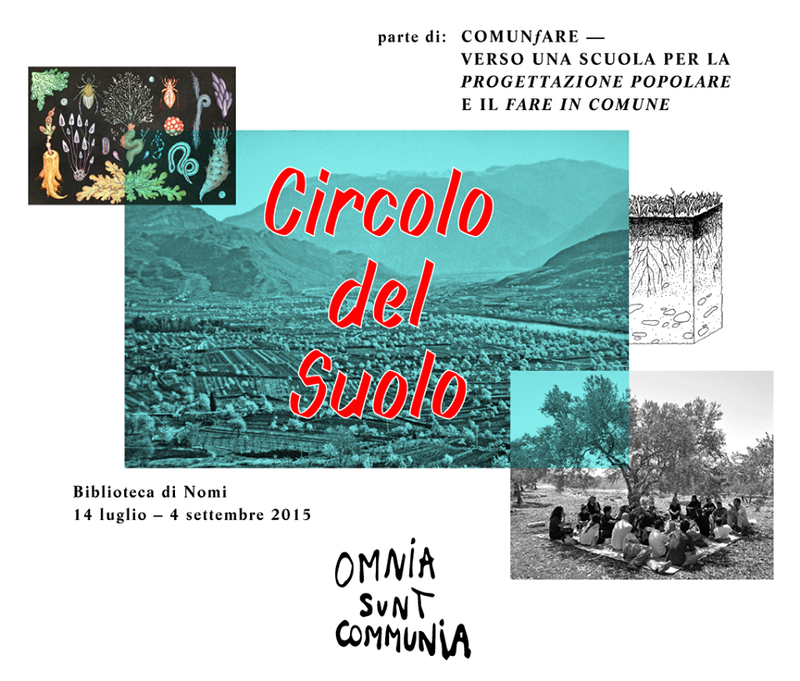 commons-making, or communal making) is a long-term practice-led research project, in which we concentrate on the environmental, social, economic and political context of the Vallagarina district in the Italian Alps and its connections to other places in the world. 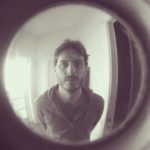 Project updates (in Italian) via the locally preferred social network. With the project, which represents a new phase in our socially and politically engaged design practice, we want to contribute to progressive eco-social change on different levels and scales in the area we come from. Over time, we set out to activate a variety of translocal situations of intergenerational, open, collective learning. Through these, we want to explore, develop and foster self-organised structures and relations pursuing a twofold aim — to become more aware of the diverse dynamics that traverse and shape the district, its economy, people and environment, while creating, broadening and diversifying spaces in which to be less exposed to and tied into the disciplining, precarising and scarcity-producing mechanisms of ‘the market’. 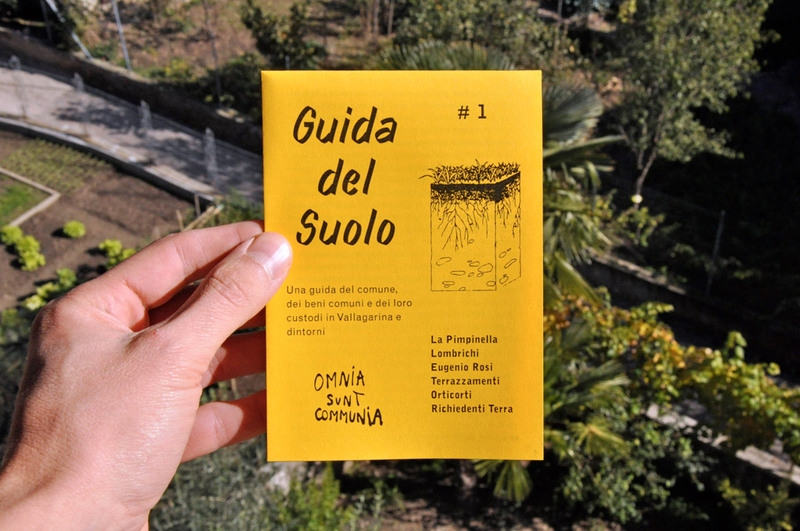 Like this, with COMUNfARE we want to support the constitution, cultivation and expansion of the commons as a material and social dimension that empowers people to nurture other values and ways of relating than the narrow ones reproduced by capital. While the defined localised framework of the Vallagarina district is the setting in which our research is physically based, and which therefore represents its point of departure and main arena of reflection, speculation and intervention, we wish to constantly weave into the project the global framework which this area is part of, and whose processes inevitably mould the district and are in turn moulded by it. — What structures and initiatives can facilitate the cultivation of practices of co-operation, care, dialogue, mutuality, and self-organisation in our lives, while weakening the influence of personal profit, competition, accumulation and individualisation? — How can knowledges, experiences and expertise held by people inhabiting the district be activated and involved into the project? How can people learn from each other in a liberatory, empowering way? — Taking the anthropocene as the wider framework in which we operate, how can the non-human other be actively encompassed into processes of progressive social change? — How can a socially and politically engaged design practice be made resilient when operating in a peripheral non-metropolitan context? Can we call this a ‘project’? I don’t ask in a derogatory sense but, on the contrary, I find fascinating these kinds of ‘endeavors’ where the borders of art / design practices and ‘everyday life’ are blurred. In that order of ideas, I am curious on how do you present yourselves to the ‘communities’ where your are working on? As a designer / artist / researcher or simply as a concerned citizen? Then, how do you think your position as ‘creatives’ can make a difference in such a context? Should it?